We know it’s hard to deal with Mondays, so we are back with a ton of new fanarts created by the community! Brace yourselves because there are amazing artists in the Broken Planet. The evidence is right here! Last month Izvit started to share a series of sketches in the unofficial Discord channel. This was the very first he created because Mikah is the beeeeeeeeest! Can you imagine reading a biography about Lycus Dion? Well, SuperMegaHyperMech has imagined how it would be and it turned amazing! 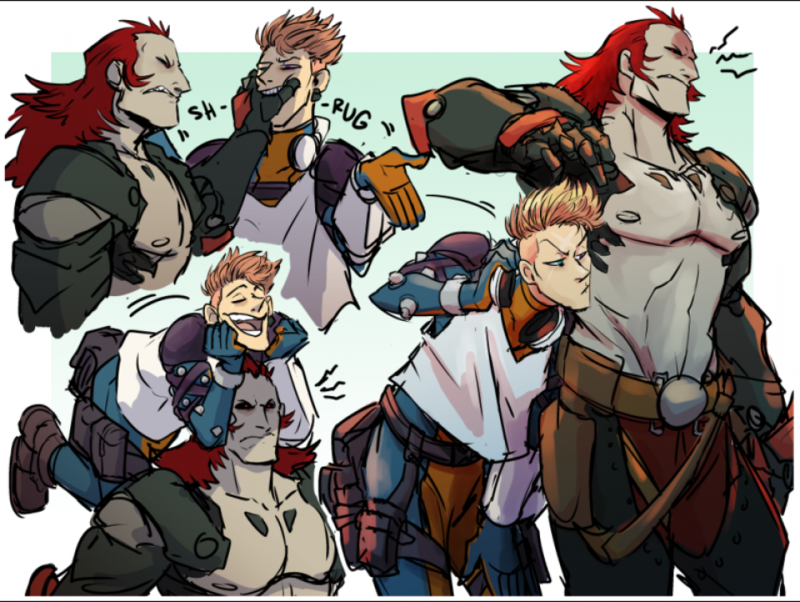 Yeah, Lycus has a “special” relationship with Schneider. It’s clear they can’t stop fighting but, don’t you think they look cute as hell together in this astonishing illustration by Slamber?